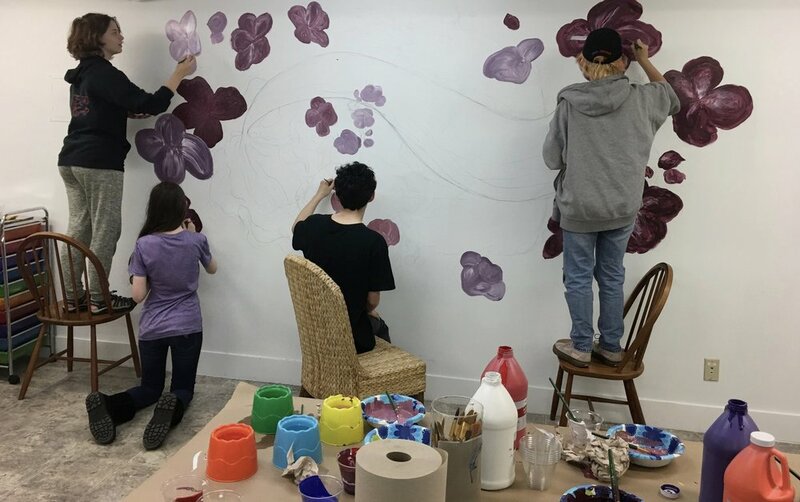 One of our teen classes took on the challenge of creating a large mural in one of Cloud 9's studios. 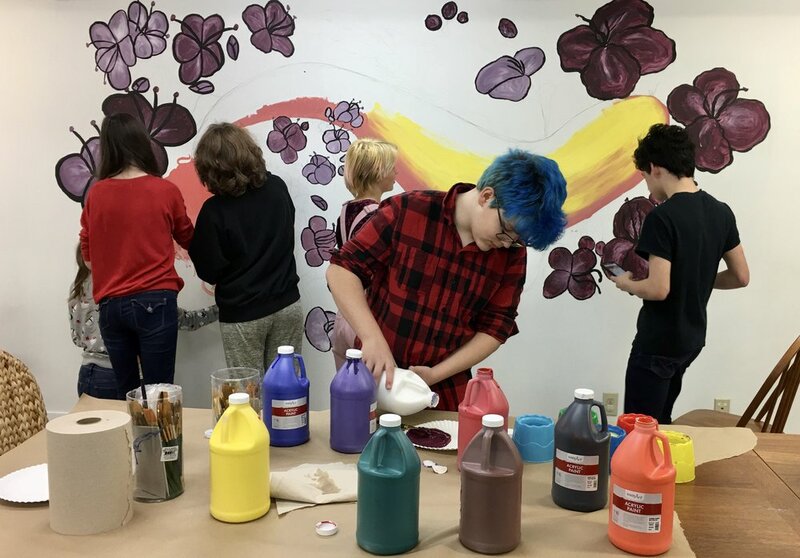 The teens spent quite a bit of time brainstorming words and images until they came up with ideas they all agreed on for the mural's aesthetic. Then they each got to work sketching on their own before getting together to share their sketches and figure out how to merge them into a cohesive, collaborative design. They chose to paint a large koi swimming through cherry blossoms. Love the idea! After drawing their final idea onto a large paper to assess scale, it was time to draw on the walls! The following week, they were finally ready for paint! Woot!! By the end of class, all the cherry blossoms were painted. The following week, they tackled painting the koi and the leaves and stems of the blossoms. All that was left to do were the details. Last night those were added and the end result is a gorgeous mural at Cloud 9! Thank you Eli, Kirby, Katie, Ash, Rita, Abby!